GE developed a prototype miniature MRI scanner for use on neonatal babies in the NICU — The smaller size permits the scanner to be stored on the same floor as the NICU, rather than in radiology units typically located in the basement or other buildings. Neonatal babies are fragile, so minimizing handling and length of time outside of the incubator is key to reducing risk during transfer. GE was in search of a design solution to transfer the baby from the incubator to the MRI device with minimal patient stress. Enter Key Tech. 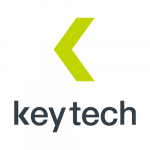 Key Tech was engaged to develop the transfer device and movable cart that would dock to the MRI device. There were many design challenges since NICUs are very specialized workplaces, the working configurations vary, and nurses are very focused on their existing workflows. In other words, there were multiple users to be accommodated – NICU nurses and neonatal patients – and multiple use scenarios that needed to be considered. Key Tech’s product design and usability engineering processes were used to determine the optimal design for baby transfer and transport, focusing on identifying and satisfying the needs of the users and application. 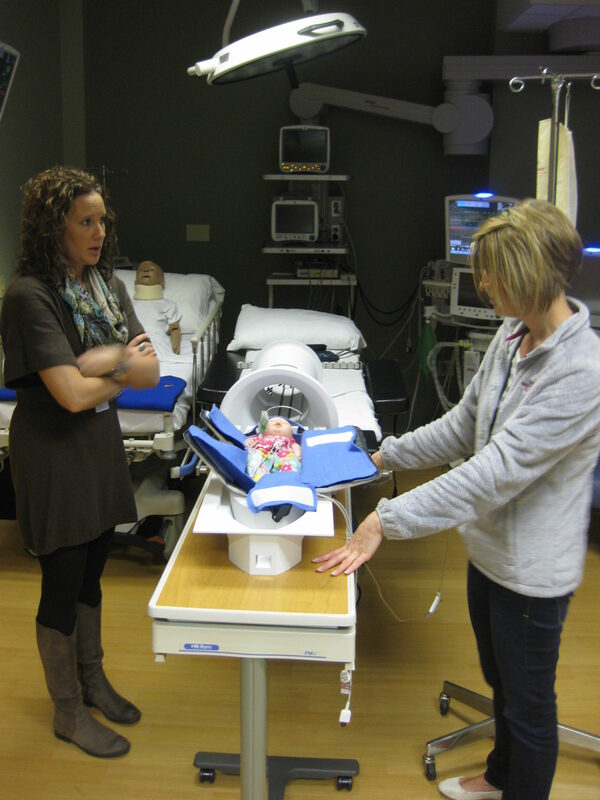 Onsite NICU user interviews and observations were conducted, followed by co-design sessions with NICU nurses to define the ideal product. 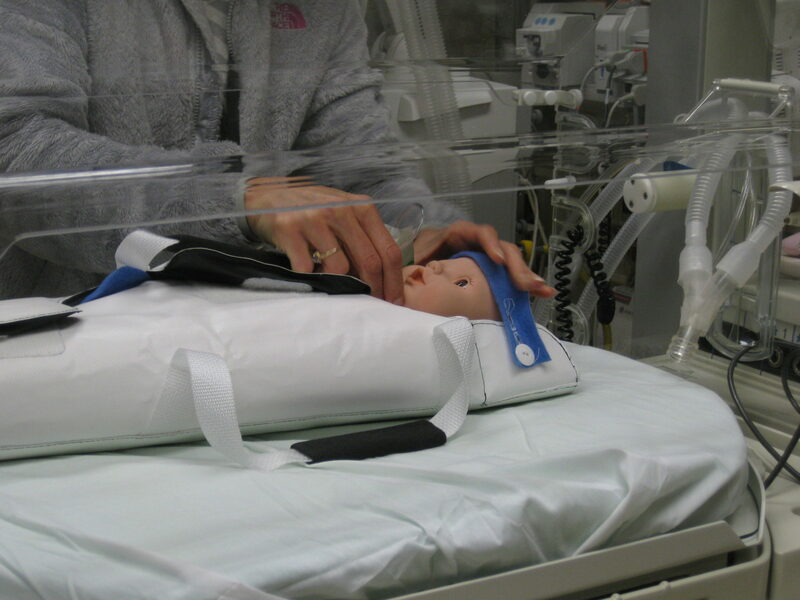 Many concepts were evaluated, and it was quickly apparent that design versatility was key, since there are a multitude of use scenarios that NICU nurses would need to contend with. The final solution needed to seamlessly fit into existing NICU workflows to avoid further burdening NICU nurses or stressing the neonatal patient. 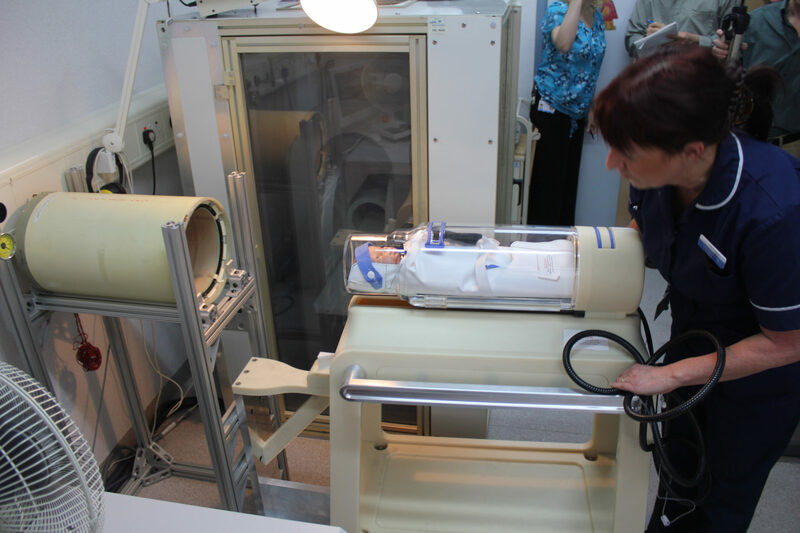 The user-driven design process led to a transfer sling that is installed in the incubator as part of the bedding for a neonatal candidate for MR imaging. The sling can be easily picked up to lift the baby and transfer it into the cart. The versatile sling design achieves a safe transfer that minimally stimulates the baby and assists in managing the multitude of line sets attached to the baby. 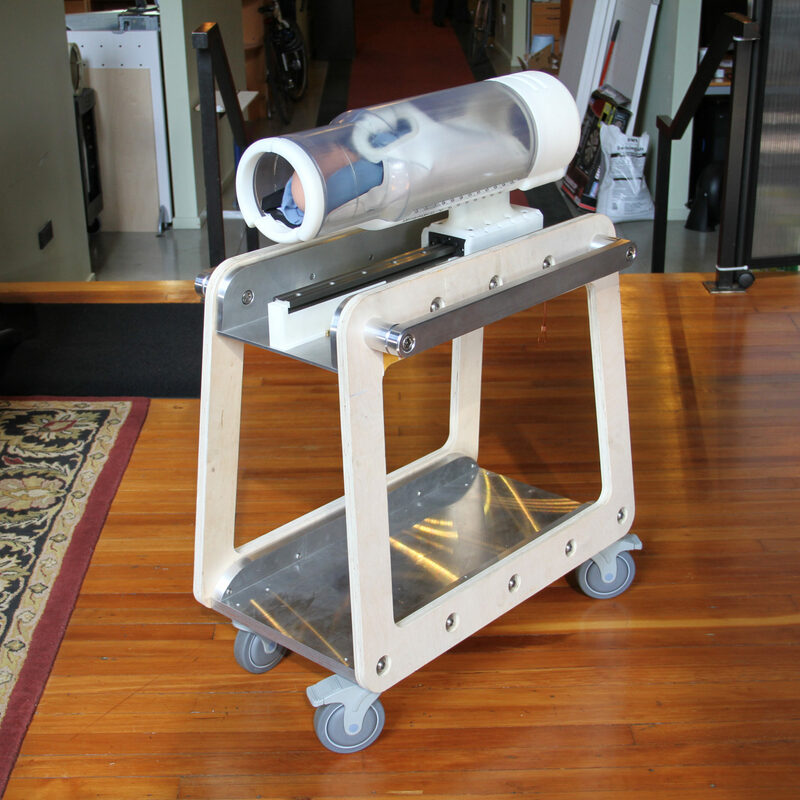 The transport cart, dubbed the “Pelican System”, includes a cradle that accepts the baby in the sling and a cart that docks to the MRI device. An interlock prevents movement of the cradle without it being docked to the MRI device. Once docked, the cradle can be advanced forward into the MRI device’s bore. A visual system designed into the cart and cradle assist the clinician in locating the target anatomy at the center of the MRI device’s bore, which is critical to successful imaging. 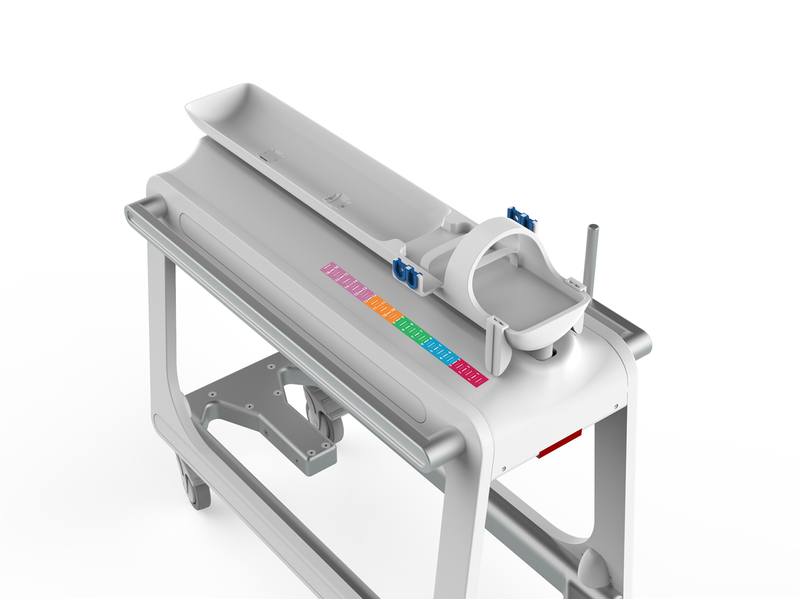 Once the system was designed and proven in early formative evaluations, Key Tech completed formal product development under our ISO 13485 compliant quality control system, culminating in delivery of functional, verified clinical trial units for use by GE. For a video of the product in use see this BBC article. *The neonatal MR device does not have regulatory authorization for clinical use, and remains for research use only.